Job destruction is an important measure of economic well-being. It describes the number of jobs the city is losing and signifies that businesses are contracting. To maintain a healthy economy, Louisville must limit the number of positions that are eliminated. Louisville currently ranks 13th among its peer cities in job destruction death rate with a rate of 11.3%. 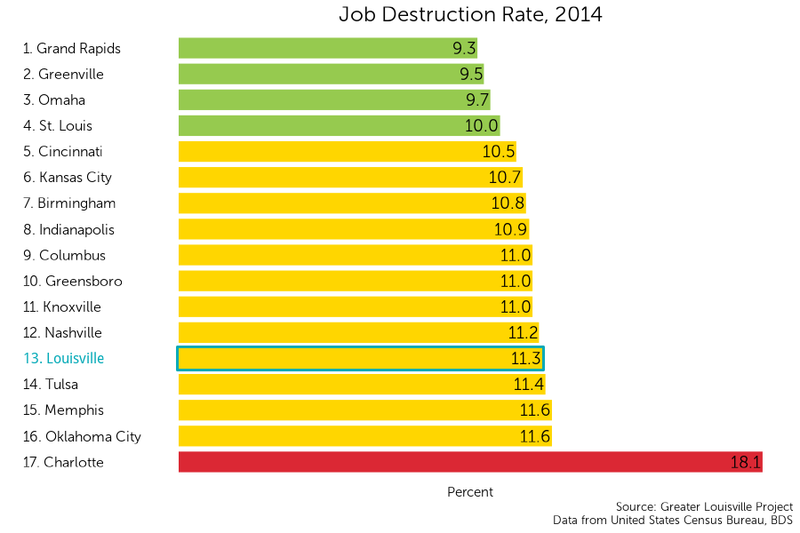 The job destruction rate represents the percentage of jobs that have been eliminated over the previous twelve months. On this metric, Louisville is in the middle of its peer group according to a natural breaks algorithm. Cities in green are those that outperform their peers, cities in yellow represent the middle cluster, and those in red are a group that lags behind its peers on this indicator. 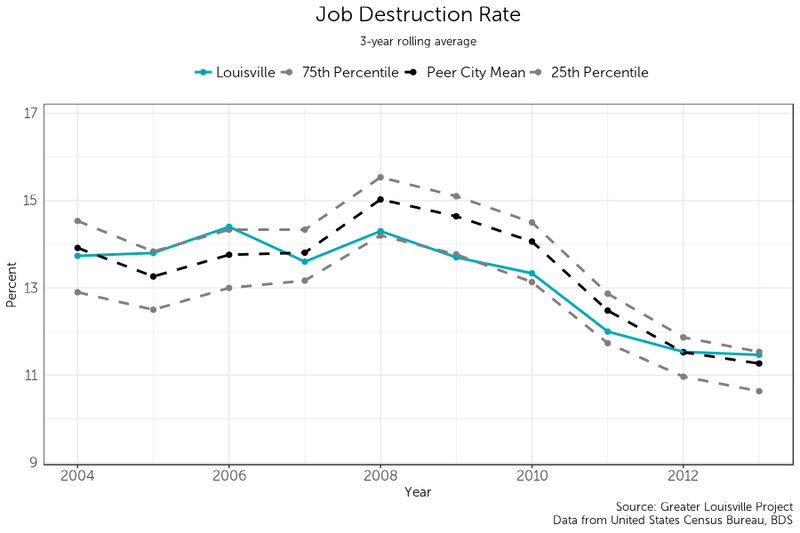 The job destruction rate in Louisville has trended downward since 2008. Although the city has made progress, Louisville’s ranking in terms of its peer cities has been declining since then. While the city was not as strongly impacted by the recession than its peers, it has also not made as much progress as its peers since 2008.